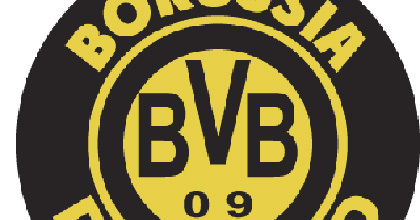 heinnews – Referee Stark admits mistake on Dortmund red card; did it cost Dortmund a chance at title? The referee who gave a red card and penalty which may have cost Borussia Dortmund their chance at defending their Bundesliga title admitted afterwards that his call was a mistake. “We analyzed the scene after the match with observers. For me it was obvious on the pitch that there was a handball at the goalline – and that results in a penalty and red card. With the television replays, you can naturally see that there was no handball – so it was a mistake in judgment. A clear error on my part. Of course I am sorry,” referee Wolfgang Stark was quoted on LIGAtotal. Stark ruled that Dortmund defender Marcel Schmelzer had handled a shot attempt by Bas Dost in the 35th minute against Wolfsburg, awarding Wolfsburg a penalty and red-carding Schmelzer. A rattled Dortmund side then gave up the 2-1 goal five minutes later. Despite playing with 10 men, Juergen Klopp’s team took over control of the game thereafter and managed to equalise in the 61st minute on a penalty by Jakub Blaszczykowski. But Dost made it 3-2 in the 73rd minute to decide the game in the end. With the defeat, Dortmund dropped 14 points behind runaway leaders Bayern Munich after 16 rounds – making it a very, very difficult task to make up. “The red card decided the game today. We were dominating the game. My team played one of the best home matches in ages. The red card caused a bunch of chaos in our game as everyone was hectic and disturbed,” said Klopp. The German Football Association DFB said it would likely not suspend Schmelzer for the incident – a usual consequence for a red card.